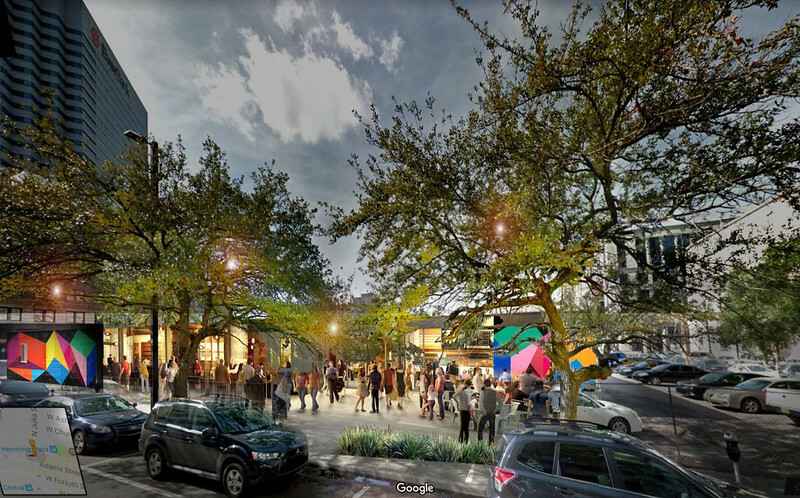 A Northbank site originally considered the front runner for JEA's proposed administrative headquarters is now being targeted for the development of a mini arts district. 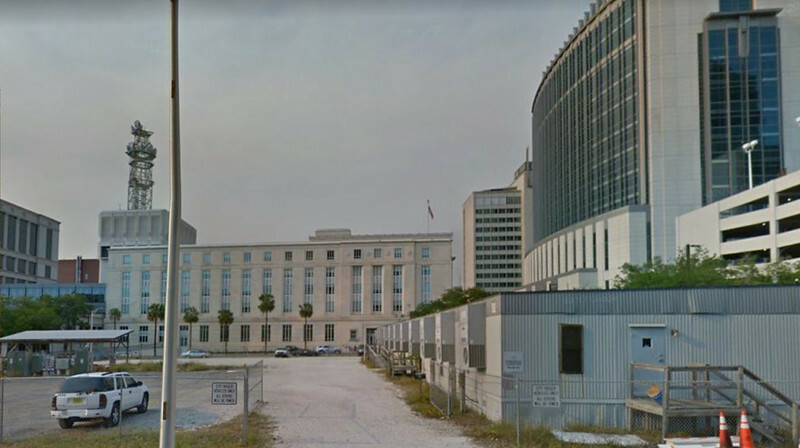 In collaboration with several art institutions and schools within the state, a group known as Metropolis has proposed an alternative vision for a long underutilized site being considered as the location of a new administrative headquarters for the JEA. 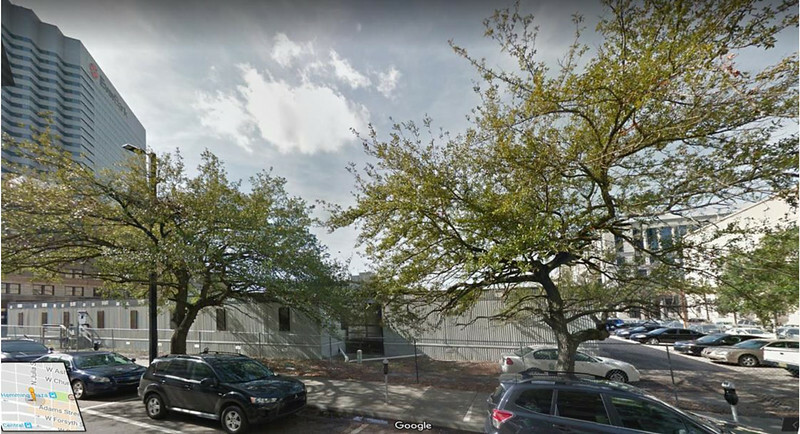 Metropolis’ plans call for the conversion of 337 West Adams Street into a community art incubator called La Rue des Arts. 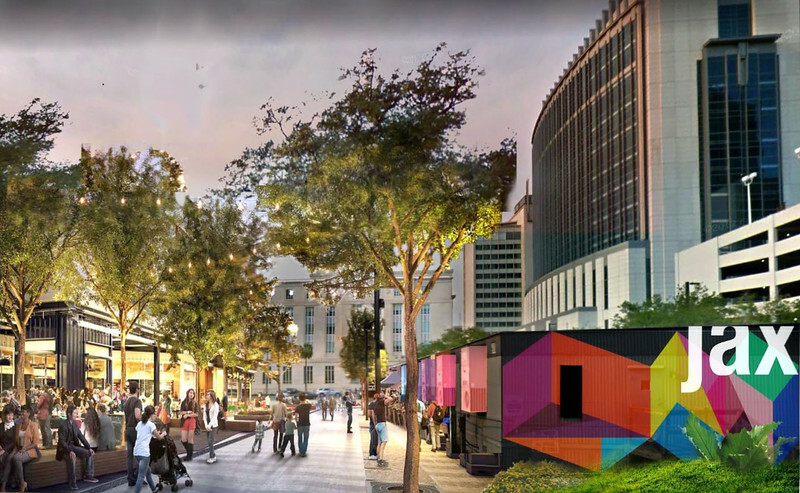 Utilizing existing modular structures on the property, Metropolis believes the $120,000 project would encourage an active street life beyond traditional daylight business hours which will create an environment of growth for other restaurants, retail and entertainment business in the vicinity. Here’s a look and background information on La Rue des Arts.